Generally, Kose skincare is quite affordable as far as counter beauty brands are concerned. Even skincare at drugstores can be rather pricey nowadays and Kose is a trusted brand for skincare. 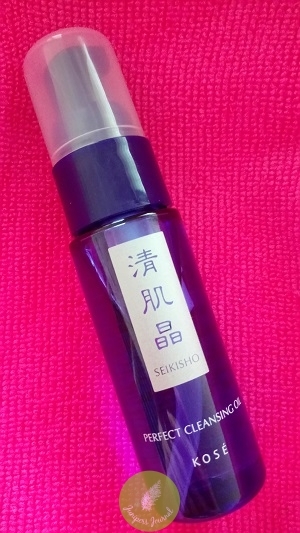 I’ve been trying out this sample bottle of Kose Seikisho Perfect Cleansing Oil which has a nice thick consistency and a mild scent. This cleansing oil has been formulated to remove thick and waterproof make-up and this it certainly does efficiently and effortlessly. It emulsifies easily and doesn’t leave my skin feeling dry. This is an excellent cleansing oil which really leaves skin cleansed of all make-up. Suitable for all skin types.